I’ve respected Google for a long time, not only for their technical achievements, but (perhaps more importantly) for their ethical and moral standards. Google’s well known mantra of “Don’t be evil” is a very powerful statement to me. It’s a recognition of the ability to violate people’s privacy and expectations that everyone deals with everyday, but is much more pronounced at a large data dependant organization such as this. It’s also a commitment to fight against that possibility. I respond really positively to this view, and think it’s important that this issue is given a great deal of emphasis. On top of a solid ethical foundation, I have been very impressed by the breadth of problems that Google has been tackling. My favorite example is the self-driving car program (Disclaimer: I’m not working on this project, I’m just a fan). I’m thrilled at the idea that we could help save tens of thousands lives every year that are lost to car accidents by systems which can respond much more quickly, consistently and soberly than humans. As to the application process and encouragement, I have to thank a couple of my professors for helping encourage me in that realm, specifically Prof. Tanya Berger-Wolf and Dr. Mitch Theys. I’m working on the Double Click for Publishers, Inventory Management and Forecasting core team. It’s a mouth full, I know. Basically, the team projects advertising traffic information into the future to help content publishers (website owners) plan out advertising on their websites. I’m working on the backend system for this, and am transitioning some of the storage architecture to be more efficient, saving resources. I’ve also been updating some internal monitoring tools to help the team more quickly analyze the state of the system. Steve has really set me up to be able to work on a meaningful project which will have a tangible impact, which is really exciting and encouraging. He provides good support while still giving me enough room to be self driven. Joel is a fantastic technical mentor, and I love all of the little efficiency improvements he’s able to impart. Everyone on the team has been extremely friendly and helpful, and it’s made it a wonderful environment to work in. Thanks guys! The people. Everyone has been very friendly and supportive, but more than that it’s an intellectually stimulating environment. There are big challenges being faced, and the supportive discourse is pervasive. It’s a wonderful blend of anything is possible and a pragmatism that allows for tangible accomplishments. One of the first things I worked on, as I was getting used to the technical environment / infrastructure, was some internal tools. A particular one was suffering from slow down, and I restructured and expanded it to make it much more responsive. It was a really good feeling to finish that and allowed me to get a feel for the whole process before tackling a much larger challenge. Context is critical, so this is a huge benefit for me. I feel the core of this is an attitude built of optimism and care. Care for people, both Googlers, our users, and beyond. Care for the immediate and the future. Optimism as to how far we can go if we work together. 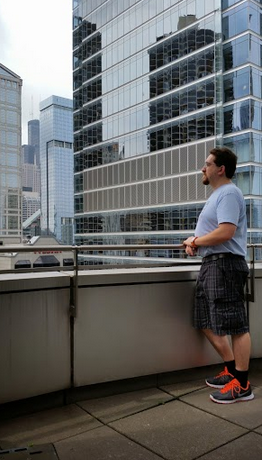 What’s your favorite thing about working in the Chicago office? Not having grown up in a big city, I love getting the experience of working downtown among all the high rise buildings. There is a certain gravitas to the scale in which I find myself, walking from the train station or looking out the window at work. Think seriously about what it is you care about and want to achieve. You are a unique and able individual. Figure out what you dream of doing, and work towards that dream. Your passion will show, your drive will make you work harder, and better. The person that you are is as important as the skills that you’ve learned. You need them both. I’m going to have to go with BBQ Pulled Chicken sandwiches, though stir fry day is definitely a close second. I spend most of my time outside work at home with my four wonderful children. Outside that, I’ve spent a lot of time in robotics over the years, from UIC’s Chicago EDT (Engineering Design Team) who competes in various robotics competitions throughout the year, to a two year internship at NASA Ames Research Center where I worked primarily on human robotic collaboration projects. I’d love to visit Sydney, Australia. It looks like a beautiful place, and it would be fun to get exposed to a cultural perspective which has grown out of a different part of the world. Andrew’s intern host at Google is Steven Milak. 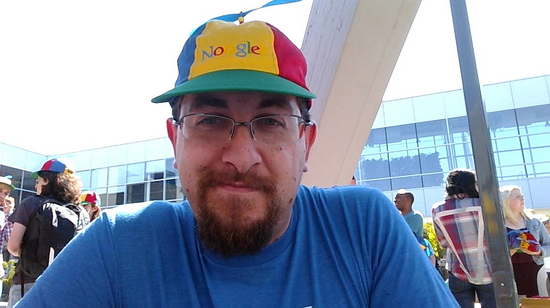 Steven attended Purdue University and has been a Software Engineer at Google since 2008. When Steve isn’t working on Inventory Management and Forecasting, you can find him in the office’s gym, doing 50 pushups and pullups daily. He has advice for those pursuing an internship or career at Google...and a strange story about some nut-throwing monkeys. I was once attacked by a bunch of nut-throwing spider monkeys while hiking in the jungle. Most of my time outside of work is spent with my family. Some fun things we do together are hiking, camping, fishing, gardening, soccer, bike rides, and visiting with family and friends. Over the past 6 years that I have been here people have always taken the time to help coach and grow me as an engineer. I desired the opportunity to do that for another individual. In a sense, to pay it forward. Inventory Management and Forecasting, which is a feature of the larger DFP ads platform. IMF basically forecasts the traffic to a site and helps the publisher maximize their advertising opportunities. The people with which I have the privilege of working. Again, the people. The caliber of people on our team (and, for that matter, Google Chicago Engineering as a whole) is absolutely amazing. The excitement, cheerfulness, and eagerness that he [Andrew] brings to the job every day. For example, I had to smile when he kept telling me how awesome it was to push a button from his workstation and have 800 machine cores running for him in Oregon. Make sure you can solve problems and that code can roll off the tips of your fingers! 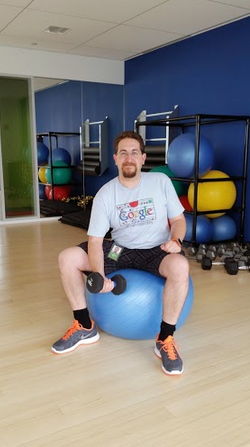 Meet Andrew Ring, a Software Engineering Intern in Google’s Chicago office. Andrew just finished his BS in Computer Science and will be headed back to the Computer Science Masters program at the University of Illinois at Chicago this fall, focusing on Artificial Intelligence, especially Machine Learning. When he’s not coding, you can find him spending time with his wife and four awesome kids. He also enjoys photography, racquetball, science fiction, and space exploration (he has also interned with NASA! ).